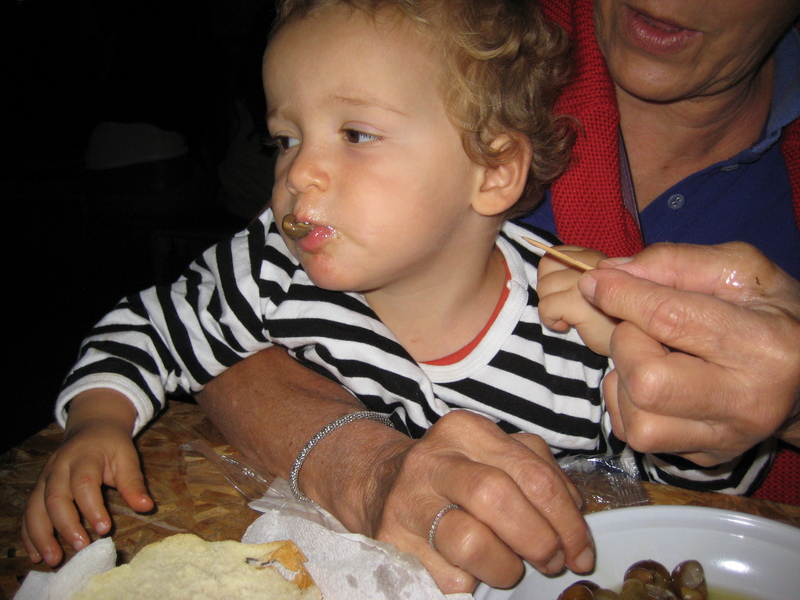 What better way to kick off a week in Salento than with a sagra (food-centric town festival). 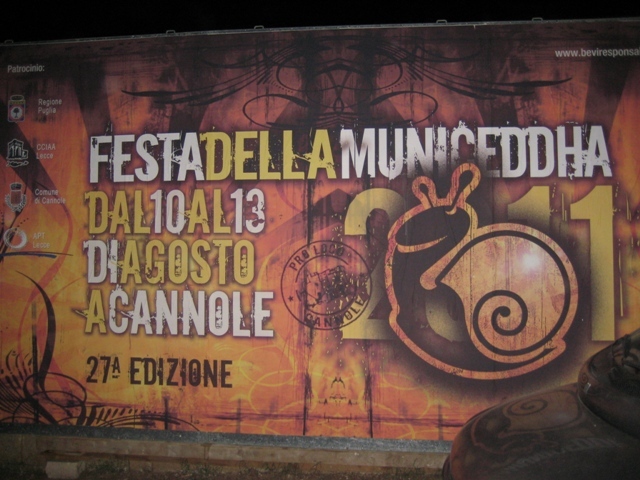 The small village of Cannole, which is lost on the backroads of Italy’s far southeastern corner somewhere between Lecce, Maglie and Otranto, has made a name for itself in recent years with its Festa della Municeddha, a sagra dedicated to the consumption of snails (municeddha in the local dialect, in Italian its lumache). I’ve become something of an habitué of snail festivals having had the pleasure of eating inordinate amounts of the little critters on the banks of the river in Lleida, near Barcelona, at the Aplec del Caragol. (I’d like to nominate that site for the best accompanying music, any suggestions where I can do that?) In late May next year you can find me back at the Aplec, funny thing in that this is coming from somebody who used to equate eating snails with consuming ants, grasshoppers or other pests that populated my mom’s vegetable garden. the sautéed snails were the best thanks to the sweet, tangy touch provided by the accompanying onions. I bypassed the local rosé wine (not my style even if it is their specialty here) and opted for the pale lager flowing from the taps. 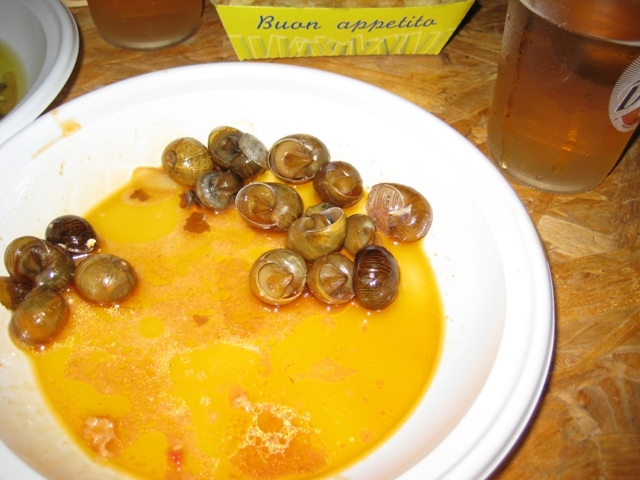 Though sausage and beer gets all the press, snails and beer make a pretty good combination. You can’t have a sagra, or any sort of festa for that matter, in Salento without some pizzica, the traditional music from this area that makes heavy use of the tambourine and that’s similar to the tarantella, only more infectious and more difficult to keep from dancing to. Cannole didn’t disappoint.